So many advances in technology are driven by human need (or desire). This accounts for everything from broad-spectrum issues to small annoyances. For example, we needed faster, safer ways to travel, which led to trains, automobiles, and airplanes. We craved easier, quicker means of communication, which led to the telephone, the internet, smartphones, and so many related innovations. In the world of healthcare, technology innovations have led to an abundance of advances in healthcare equipment and training, which often means better diagnostics and improved life-saving abilities. Despite medical technology providing more help than ever before, it continues to be a common refrain across the industry that patients continue to feel dissatisfied with healthcare as a whole — and it is a dissatisfaction that runs deeper than griping about cost. According to Cynthia Burghard of IDC Health Insights, patients feel that the healthcare industry is, “inconvenient, it’s inconsistent, and it’s not personalized.” The answer to this ongoing struggle is to do what humanity consistently does: turn to technology innovations for improvements. Part of the big struggle with patient engagement stems from evolving expectations. With such of modern life connected to the internet at work, at school, and at home, most Americans now have an engrained expectation for faster, easier communication and connectivity in nearly all aspects of life. It’s a natural enough leap that our society’s reliance on smartphones and computers leads to the expectation, or at least strong desire, for ways to be more connected in the healthcare process. A key component of patient dissatisfaction often stems from the lack of options to connect with healthcare professionals. 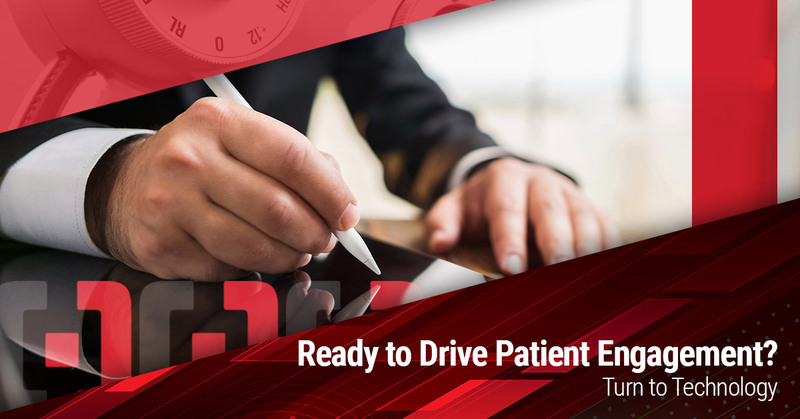 In order to effectively fight back against such heavy patient dissatisfaction, it’s time to embrace technological advancements in the healthcare industry that allow your staff to connect with their patients outside of appointments. The other problem that many have noticed is that patient engagement goes further than simply providing the technology to patients. Clinics and hospital systems that have already adopted patient connectivity technology as a part of their practice management software may not have seen the increase in patient engagement they expected. The second part of improving patient engagement is not just to have the technology, but also to make it easy to use — without losing on security — and actually using it. It seems like a simple, logical step, but so many patient engagement tools come with complex account set-up requirements and/or are too functionally confusing, which serves to drive away patients and providers alike. To better drive patient engagement, it’s important to not only provide options for patients to connect with providers, but also to choose options that are user-friendly for everyone. After all, physicians and healthcare staff aren’t going to jump on board a system that creates even more hassle that eats into already busy days. And, without your staff interacting with patient portals and the like, there isn’t much reason for patients to buy into the system either. For ways to improve patient engagement, not only is it time to embrace technology, but it’s also imperative to seek out practice management software, EHR software, and other clinic management software with integrated tools that are easy for patients and healthcare professionals to engage outside of appointments. Patient portals can be a highly effective tool in both engaging patients in their care, as well as saving them, and their caregivers time. These secure, online websites like the one we offer with Compulink’s Advantage SMART Practice®, provide patients with convenient 24-hour access to their personal health information including recent doctor visits, medications, and lab results. Our portal also allows patients to securely message their physician, eliminating the phone tag usually associated with communicating with their physician. In addition to these clinical benefits, patient portals also provide patients with the convenient access to services they are accustomed to in this internet connected world, including online bill pay, appointment scheduling, and prescription refill requests. It may sound as if adding a patient portal is going to create stacks of additional work for your staff. With well-organized and optimized software, that’s certainly not the case! Compulink’s Advantage SMART Practice® software is specialty-specific and designed to improve workflow while providing easy-to-incorporate patient engagement options. Connect with us today to request a demo and experience the benefits for yourself!